We’ve never been to Thailand, but it’s a bucket list destination for sure. My assumption is that this soup is not really Thai, perhaps more suited to western tastes. I could be wrong (hope I’m wrong? 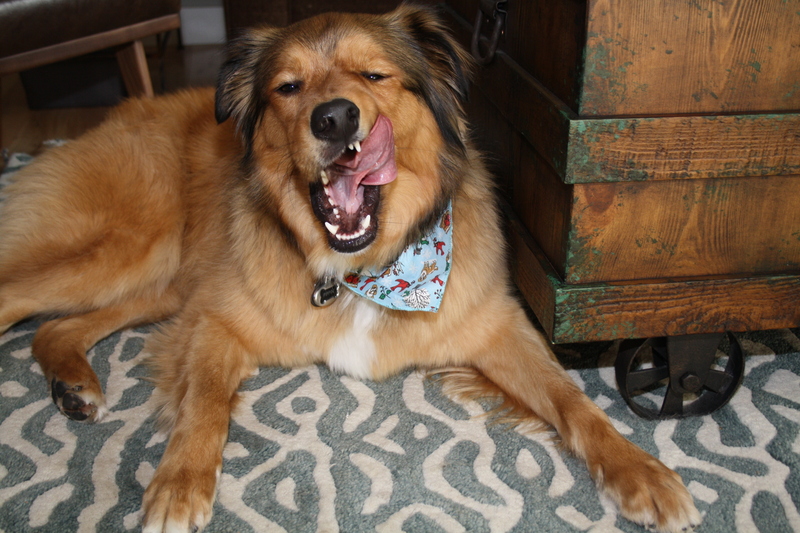 ), but either way this soup is totally delish. I think I could eat it every day. 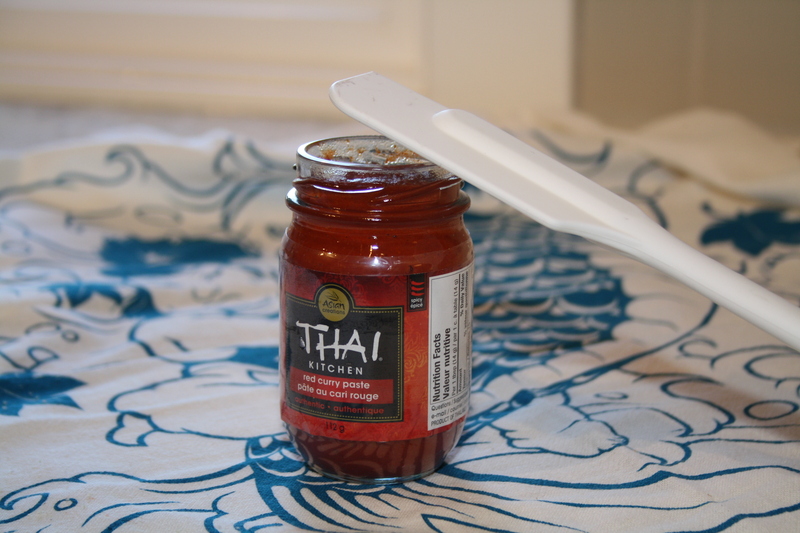 Thai curry paste is accessible and so versatile. 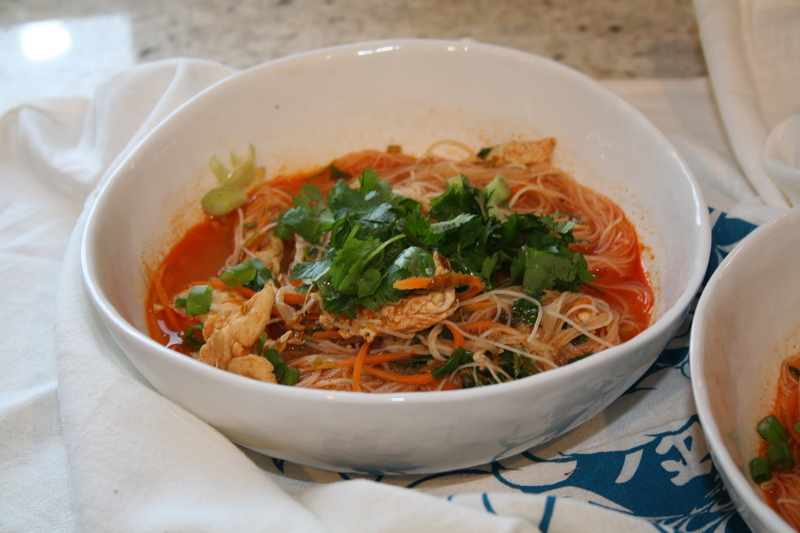 You can make excellent sauces using a stock or broth or coconut milk to dilute. You can slather it on a protein like chicken or tofu and grill it. You can whisk a bit with olive oil and seasonings to make a salad dressing. 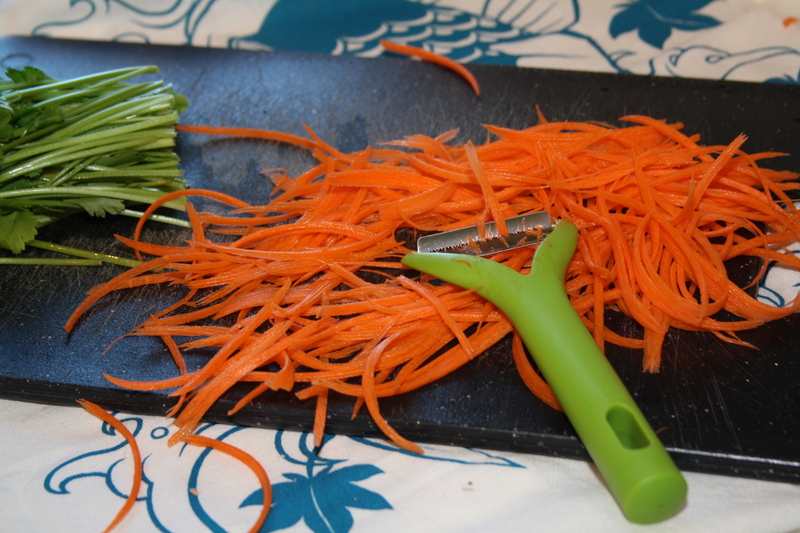 You can also stir it on a mixed veg and roast it (I’ve never done this, someone please do it and report back!). It’s in virtually every grocery store. And it’s lovely. You will like it, I promise. 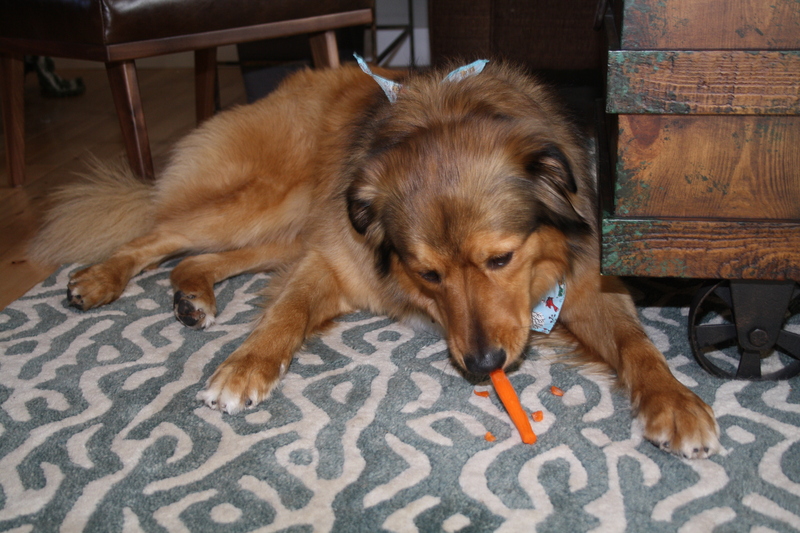 Pip takes carrot quality control very seriously. I know people who don’t like cilantro. Crazy, right? Turns out not so crazy. For those of you who dislike cilantro, it turns out you may be genetically predisposed to hate the stuff. And I’m sorry for that. Marcus and I could eat bunches and bunches of the stuff. We are liberal with “garnishing”. While I recall always liking cilantro, coconut is something I remember feeling indifferent about. Until probably four or five years ago, I was kind of meh about coconut. I don’t know what changed, but I am a woman obsessed now. I love, love coconut. Coconut flavoured almond milk is my dream. Coconut milk in this soup is equally dreamy. There are a handful of kitchen tools that I would deem superior. The Microplane is one of them. There are several sizes of Microplane; I have the classic style and it works perfectly for pretty much every grating and zesting I want to do. It is more expensive than other graters on the market, but in my opinion worth the money. 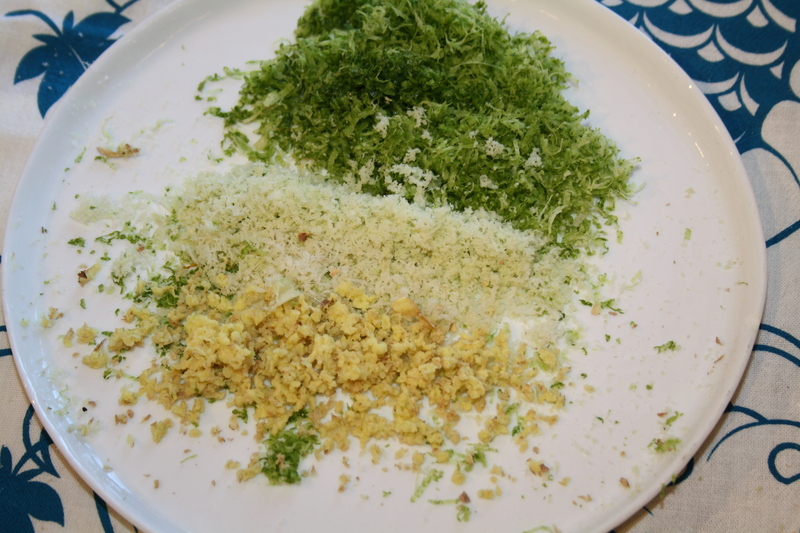 We’re finely grating/zesting a couple things in this recipe – ginger, lemongrass, and limes – and a Microplane makes it a breeze. On ginger, I don’t bother peeling the ginger before I work with it. 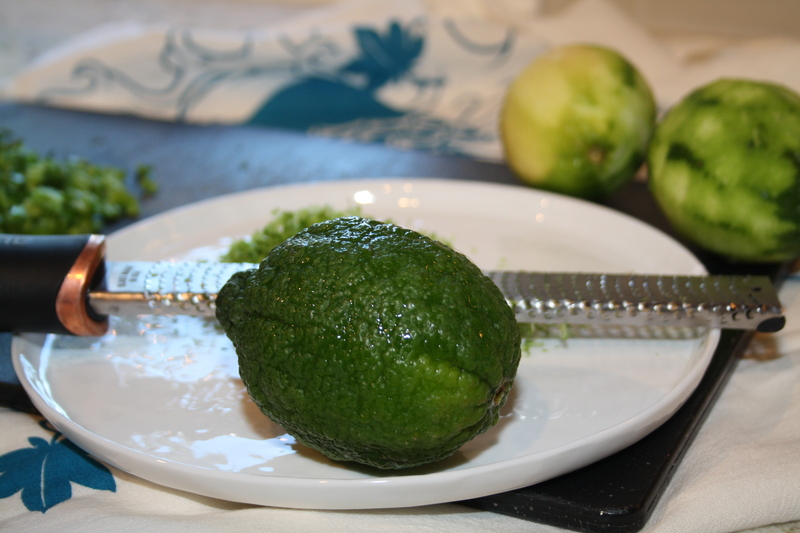 Even if I’m just slicing it, I will leave the peel on and just give it a good scrub in the sink. No one has ever noticed (or complained if they had!). There are a ton of ways to bring a protein into this dish. Shrimp or tofu would be delicious. I would treat both the same way the chicken is prepared. You could even use a roasted bird and shred the meat once the broth has come together. I think it would be excellent without any meat or tofu as well. This soup is fresh, bright, and creamy. It’s tang and salt come from the curry paste, fish sauce, and lime. It is hearty and heartening. Chicken noodle soup never tasted so good. Over medium heat, scoop the thick coconut cream from the top of one can of coconut milk into a large heavy-bottomed pot. Add the curry paste and stir together, then add the cilantro stems and chicken. Give it a good stir and sauté until the chicken is cooked through. You’ll have the remaining coconut juice from the first can. Add that juice, along with the entire contents of the second can to the curry chicken mixture. 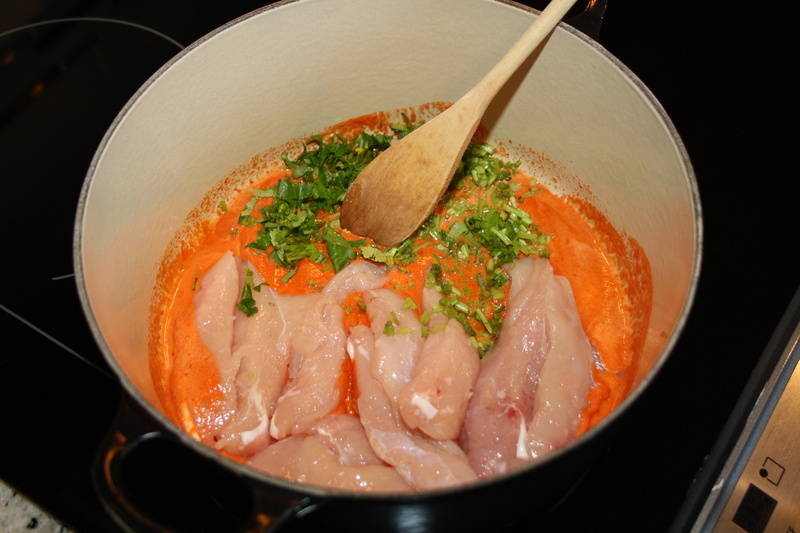 Pour the chicken stock into the pot, and add the carrot, lime zest and juice, lemongrass, ginger, and fish sauce. Bring to a boil then simmer uncovered for 20 minutes. Stir in the bean sprouts, then turn off the heat and add the rice noodles, breaking them in half (and even quarters) as you add them. Wait 5 minutes, stirring occasionally, for the noodles to soften. Stir in half of the cilantro leaves. 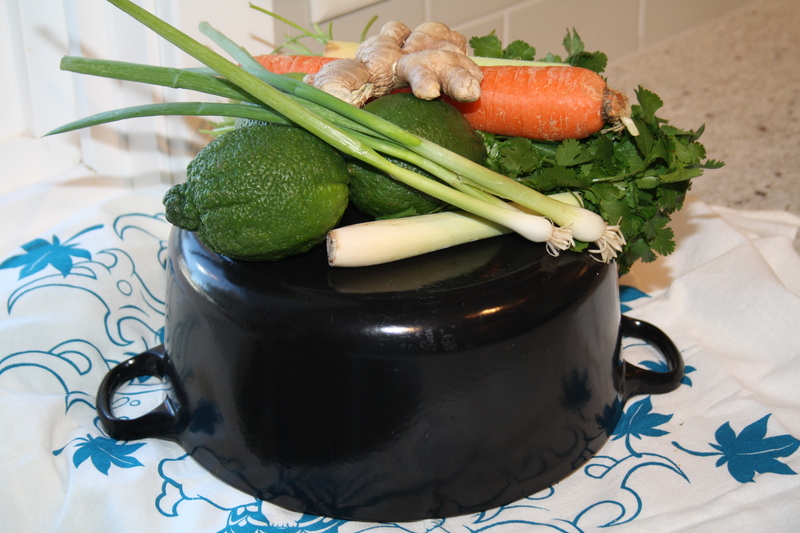 Ladle into large bowls and serve right away, garnished with the green onions and remaining cilantro leaves. 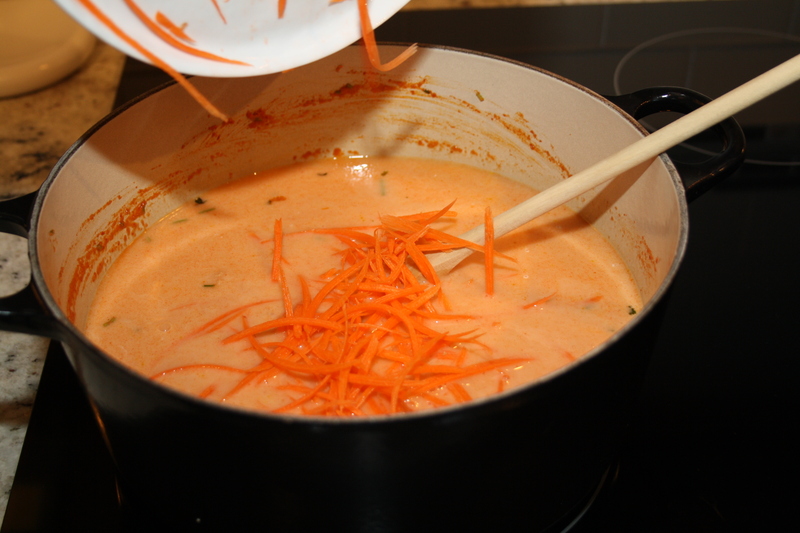 Question – I am tempted to make the Thai Coconut Soup – but I have never used curry paste before – is it hot? any heat? Hi Sue! Thank you for the kind words, I’m glad you stopped by!! Concentrated curry paste right out of the jar will pack some definite heat. 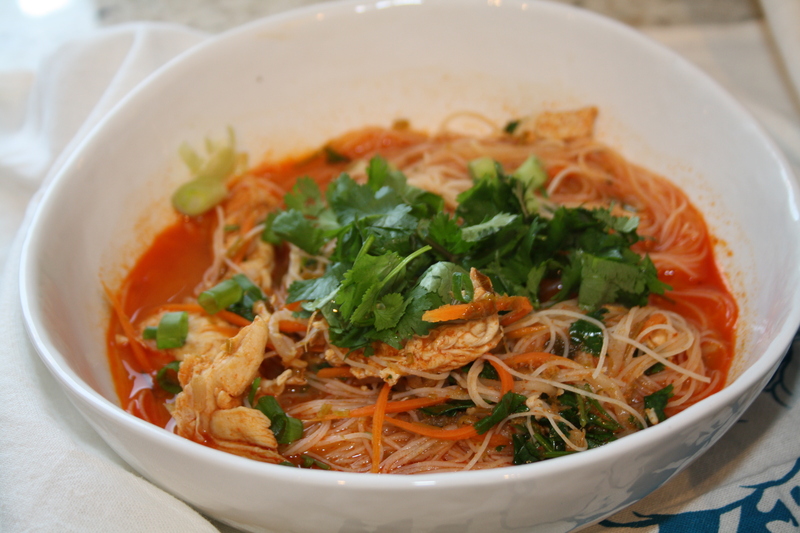 The brand I use – Thai Kitchen – is not hot at all once diluted with all of the yummy coconut milk and stock. In fact, you may want more heat than the paste can deliver (a chopped chile or red pepper flakes will do the trick). The soup as written is mild.